On behalf of Harley and myself, we would like to give our utmost "Thankyou and Appreciation" to our Wonderful Celebrant, Liz Hayes. Liz worked tirelessly to make our day JUST PERFECT! Not only was she our celebrant but also our Wedding Planner. Liz is hoping to do more of these Bali Ceremonies in the future - so if you are like us, and want to keep your day special and meaningful, we highly recommend Liz for your special day. Thank you Liz for all your hard work. Perth Zoo One of Perth’s most fun wedding venues! Photographers: so many great photographers in Perth! Kevin McGinn Having worked regularly with Kevin, I can say that for making couples feel relaxed, as well as producing some wonderful images, Kevin is a great choice for a Wedding Photographer. Parkburn Flowers Jenny’s flowers are just gorgeous. Liz Hayes Celebrant For complete peace of mind, have the ‘legals’ conducted in WA. 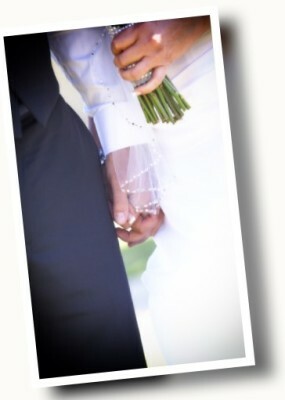 Legal Weddings Simple, low cost ceremonies as an alternative to the Registry Office. Venues and Resorts in Bali: for something ‘outside the box’…..
Dean Bali Dude a local Indonesian photographer – highly regarded for his beautiful work. One Stop Events Bali A wonderful wedding planner in Bali. The owner is Australian/Balinese and has a certain beautiful style.